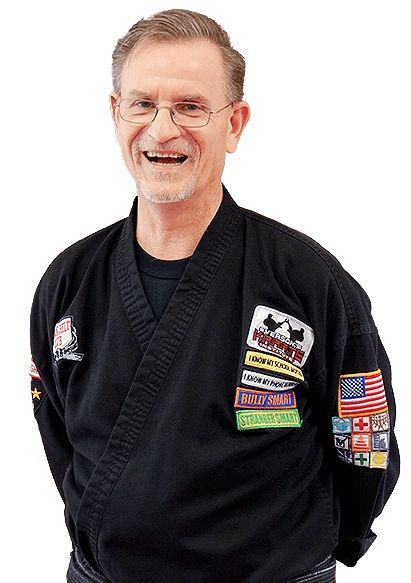 My name is Dusty Everson; my school, Everson’s Karate, has successfully been teaching life skills to children, self-defense, and fitness to adults in the Robbinsville area for over 25 years. Along with my business partner, Donna Williams and daughter Christinia Everson, our goal is to enhance the lives of our students so they will make the right choices and live a happier and healthier lifestyle. The biggest asset of “Everson's Karate?” Easy, our instructors. Now, I’ll tell you up front, they are not like the instructors you’ve seen in Martial Arts / Karate movies. Are they “tough?” Yes. But what you will notice (and so will your child)...is that they are “supportive”. My instructors have been hand selected ... not just because they are great Karate Instructors. They have been chosen because they are wonderful people who care about you and your child ... as well as a great love of helping others! All of our teachers were once students at “Everson's Karate” themselves. They care about each student individually -- and are totally committed to helping you and your children reach their potential. If you are expecting the old, harsh, authoritarian, military-style Martial Art training…you are going to be sadly disappointed. When you visit us, you will find a friendly, supportive environment. Some of the teachers and long time students have been friends for nearly 30 years. That atmosphere of friendship, support, and respect will give your child the support he or she needs to succeed!